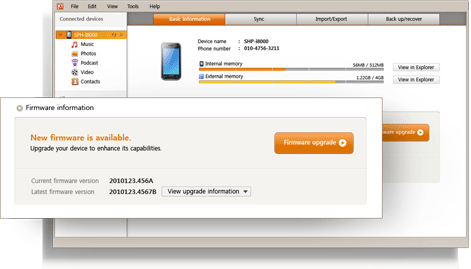 As you probably already know, Samsung KIES is a software that helps you sync your phone with your computer. Samsung KIES is finally available for Mac as well. Once you download and install Samsung KIES on your Mac, you can do a lot more then just sync with KIES. You can transfer media and data from phone to Mac and vice-versa, try apps on your PC, create and upload backups, and even upgrade the firmware of your phone! You can download Samsung KIES for Mac from here.